There are very few people who have such a profound impact on their professions that the telling of their life story is also a recounting of the history of their time and place. 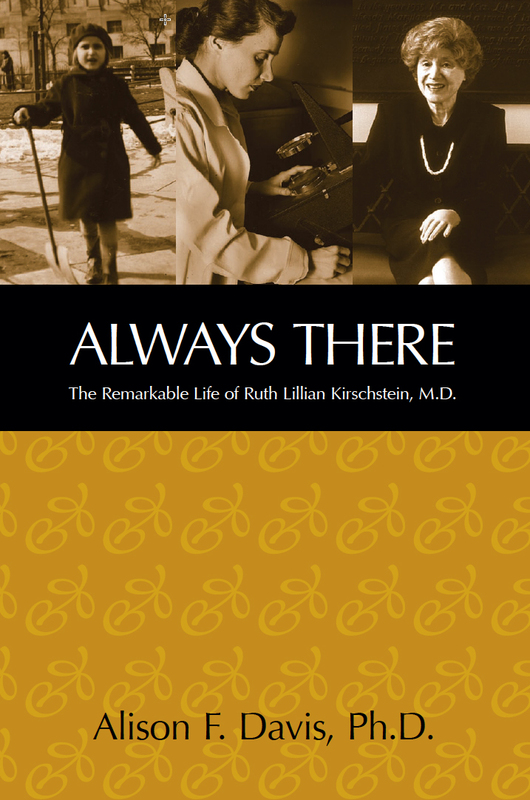 Ruth L. Kirschstein, M.D., who provided direction and leadership to the National Institutes of Health (NIH) through much of the second half of the 20th century, was one such person. At a moment in time when professional service to the government is often not given the respect it deserves, the story of Ruth’s life, and the positive effect she had on public policy, public health, and the training of several generations of biomedical researchers, should inspire those considering public service and give great satisfaction to those currently serving the nation and the world. Ruth Kirschstein was the daughter of immigrant parents who weathered the disgraceful prejudice and stereotyping of women and Jews, which would have prevented her professional contributions if not for her perseverance and hard work. She went on to become a key player in the development of a safe and effective polio vaccine, the first woman director of a major institute at the NIH, and a champion of the importance of basic biomedical research and training programs that provided opportunity to all talented students, especially underrepresented minority students. She was both a guiding force and witness to much of the drama that NIH research brought to the public’s attention: the polio vaccine, the Women’s Health Initiative, recombinant DNA research, congressional budget hearings, and the eventual strong bipartisan support that the NIH now enjoys from both houses of Congress. In an engaging and informal account of Ruth’s life, Alison Davis brings out the humanity and the strength of character that enabled the success of this remarkable public servant. She’s been called an NIH icon: Medical scientist. Classical pianist. Physician. Art lover. Humanitarian. Research administrator. She was Dr. Ruth Kirschstein.